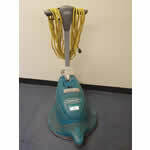 Description: 20" Battery Burnisher. Self-propelled. Very Good Condition. Onboard Charger. 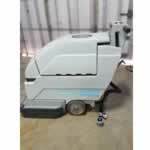 Vacuum System. ADD $1,200.00 for NEW Trojan Batteries. 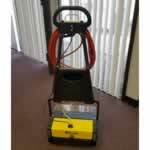 Description: 12 Gallon Box Extractor. With Vacuum/Pressure Hoses. Single Bend Wand. 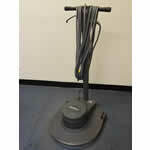 ADD $100 for Double Bend Dual Jet Wand. 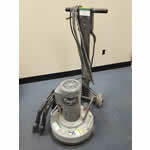 Description: 20" Battery Auto Scrubber.REDUCED!! 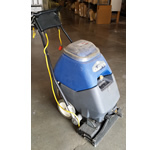 NEW: Batteries, Solution valve, Squeegee assembly. With pad holder, Charger and New Batteries. 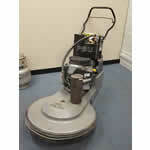 Description: 20" 1500 RPM with front pad pressure adjustment. Handle has been shortened to allow use in tight spaces. Ideal for short persons as well. Description: REDUCED! !2000 RPM Burnisher. Good condition. One wheel wobbly. 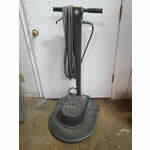 Description: 2000 RPM Electric Buffer. 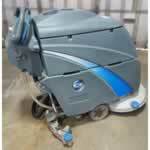 LIKE NEW Condition!! Description: REDUCED PRICE!! 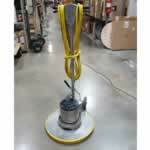 17 Gallon, 500 psi No-touch cleaner. Very good condition. With most accessories. Description: REDUCED PRICE!! 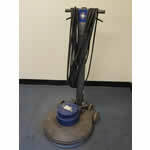 Eagle Solutions 16" Planetary Grinder/Polisher (OnFlor)in Very good condition. Runs off 110/120 volt. 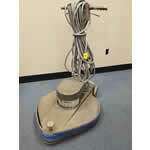 Machine was used for training purposes. Description: REDUCED PRICE!! 18" Brush. 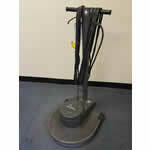 Used Self-contained extractor in fair condition. Dual Directional Operation. 12 gallon tanks. Runs off 115v. good condition. Reasons you should buy from IVIE?